Christmas sweaters were originally intended to make the holidays light hearted and fun but somewhere along the line they became a bit of a joke. 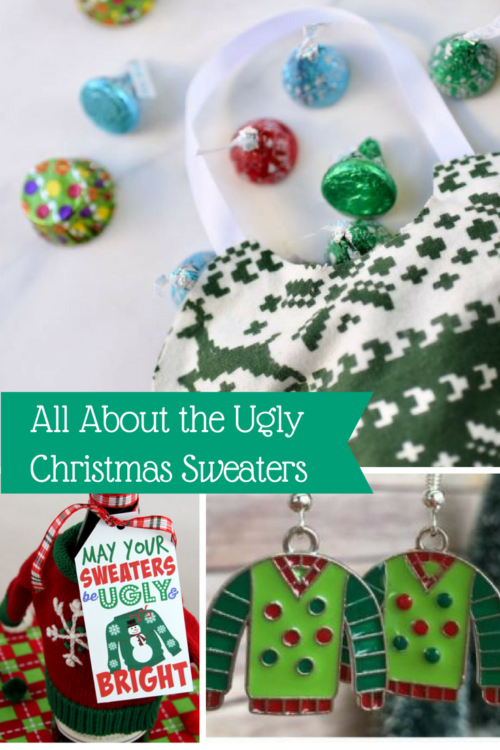 This Christmas, I invite you to share your love for Christmas with one or more of these Ugly Christmas Sweater ideas. Whether it’s making a craft or simply wearing your favorite Christmas sweater at an Ugly Christmas Party, I want to encourage you to fly your Christmas flag high. What better time to do this? Well, National Ugly Christmas Sweater Day of course. So, mark your calendars for December 15th and get your favorite Christmas sweater ready.